Login to Learnyst and go to Learners > All Learners. In all learners, select an already existing learner. 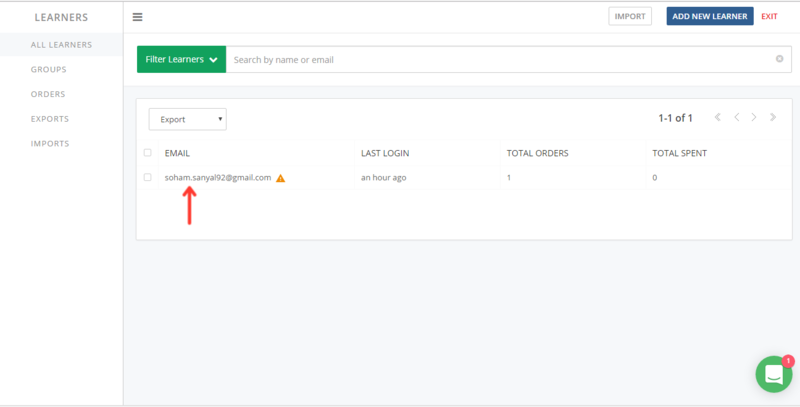 In learner Details page click on Actions button. From the drop down list choose Add to course. 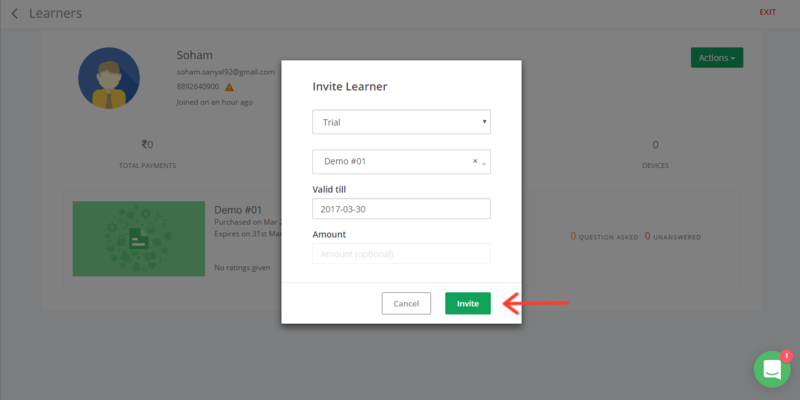 Fill in the necessary details in the pop up form and click on Invite. Your learner will be added to the specific course.